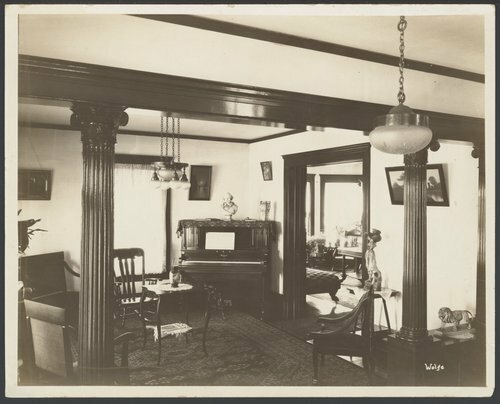 These black and white photographs show the rooms in the first Menninger Sanitarium, a former farmhouse, purchased in 1925 by the Menninger Sanitarium Corporation. A major contribution of the Menningers was that at a time when custodial care or the asylum were the only alternatives for the mentally ill, they brought a positive commitment to psychiatry. The farmhouse became the clinic and the surrounding 20 acres were developed with buildings and gardens over the next years to become the "East Campus" of the Menninger Foundation. In 1985, the "West Campus", a much larger area, was developed west of Topeka. In 2003, the Menninger Foundation moved to Houston, Texas.